Donation Screening Film Announcement 2016! We are excited to announce this year’s donation screening at the Phoenix Cinema will be ‘A Street Cat Named Bob’. 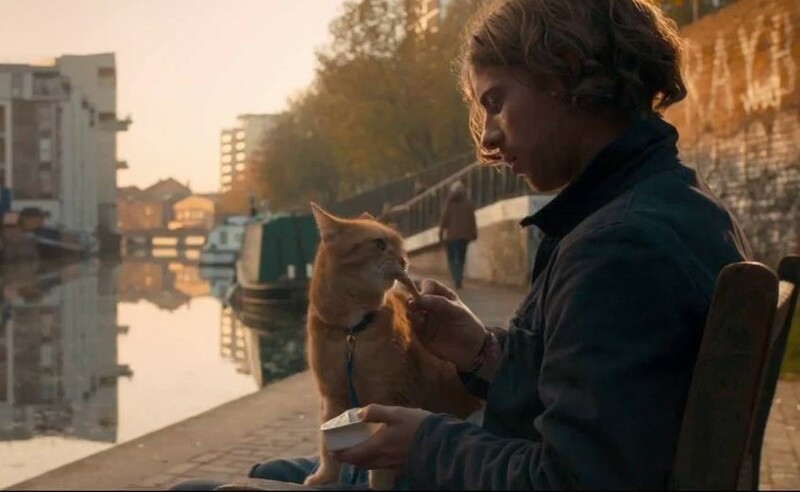 Based on James Bowen’s hugely popular book, ‘A Street Cat Named Bob’, Luke Treadaway (NT Live’s The Curious Incident of the Dog in the Night-Time) stars as James, a homeless busker who begins to turn his life around after he adopts a stray ginger cat. A funny and moving tale of our time, the superb supporting cast includes Joanne Froggatt (Starfish, Downton Abbey) and Anthony Head (Merlin, Buffy the Vampire Slayer). The donation screening will take place on Friday 9th Dec at 7.30pm at the Phoenix Cinema, Leicester. Please provide a donation from our Christmas Wishlist in exchange for a free ticket. You can find our Wishlist here. For more details, check out the Phoenix Cinema website.